It was spring of 1963. Leaders from the major United States civil rights organizations proposed a huge nonviolent demonstration for Civil Rights in Washington, D.C. It would be the largest the capital had ever seen. They called it the "March on Washington for Jobs and Freedom." They set August 28, 1963 as the date. "The idea of a major demonstration in Washington, in the nations capital, that brought together all of the major civil rights organizations would be a statement very different from what was happening around the country," says Harry Rubenstein. Rubenstein was a curator at the Smithsonians National Museum of American History. No protests that large had ever taken place in the U.S. before. That summer day, a crowd of at least 250,000 gathered at the Washington Monument. No gathering that large had been held Washington, D.C. before. Joan Baez, Bob Dylan and other musicians performed for the crowd. Ken Howard, a student at Howard University, took the bus downtown to join the gathering. "The crowd was just enormous," he told Smithsonian magazine. "Kind of like the feeling you get when a thunderstorm is coming and you know it is going to really happen. There was an expectation and excitement that this march finally would make a difference." Young and old, black and white, celebrities and ordinary citizens traveled from across the country. Some participants are still civil rights leaders today. They include John Lewis, Julian Bond, Harry Belafonte, Eleanor Holmes Norton, and Andrew Young. The marchers proudly picketed down Washington, DCs Independence and Constitution Avenues to the Lincoln Memorial. The symbolism of a demonstration at the Lincoln Memorial was potent. It was timed to happen 100 years after the Emancipation Proclamation. It also followed President John F. Kennedys announcement that he would submit a civil rights bill to Congress. It transfixed the nation. Fourteen speakers represented civil rights organizations, labor unions, and religions. From the podium, their messages built one upon another in a powerful crescendo. 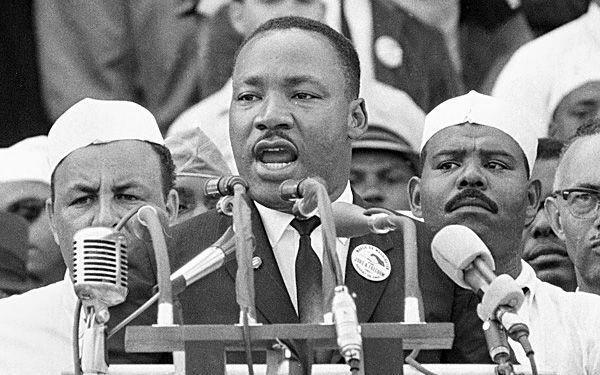 Then 34-year-old Martin Luther King, Jr. delivered his now famous "I Have a Dream" speech. 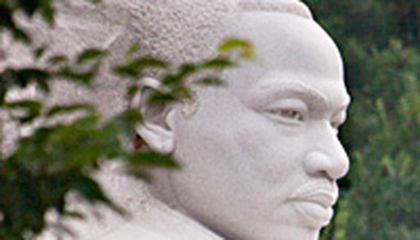 It catapulted King into a major figure in the Civil Rights Movement. It made him one of the nations most famous orators. After the program, the marchers proceeded to the White House. There they met with President Kennedy. They entreated him to improve the civil rights legislation he was submitting to Congress. The March on Washington proved to be a strong catalyst in passing the Civil Rights bills. On July 2, 1964, President Lyndon Johnson signed the Civil Rights Act, which legally banned employment discrimination and segregation in public facilities. He signed the Voting Rights Act on August 6, 1965. "Its difficult for someone these days," says Howard, "to understand what it was like, to suddenly have a ray of light in the dark. Thats really what it was like." Critical thinking challenge: Why do you think the March on Washington had such an impact on people? Well for starters, it was one of the biggest protests, and there was no place more suitable to inhabit this protest than in the capital of the US. It was going to be a statement that brought people together and was going to be very different than anything that was going on in the country. The protest even went so far to go meet the president, and asked him to improve the civil rights legislation. There was a march in the spring of 1963. This march was led during the the civil rights movement . It was led by Martin Luther King JR and he gave his "I have a dream" speech in washington the end of this march. I really like this march because of the ideas it supports. March on Washington was a big impact on people because the speech that Martian Luther king Jr give out give many people to realize that don't judge people by their skin color judge them by their behavior. That make people to realize that don't judge a book by its cover. It had an impact on people because it shows that even if your a different race than someone, it doesn't mean you get disrespected for it. I think the march on Washington impact on people is because Mr. king stop the right of white and black and be equal also peace. This march is very important to American history and the civil rights movement which started this march in the 1960's where everyone marched towards the White House to persuade president Kennedy at the time to sign the civil rights bill through legislation.